The claimant, M, had a medical condition that caused her to urinate three times during the night. Following a stroke she suffered from reduce mobility such that she could only safely use a commode with the assistance of a carer. In July 2008 the Defendant local authority, K&C, undertook a Needs Assessment in line with its statutory duties. This assessed the need for “assistance to use the commode at night” as a core need for safety, and allocated a sum to pay for a night-time carer for 10 hours a night, seven nights per week. In October 2008, K&C purported to withdraw this support on the basis that M’s needs could be met by providing her with incontinence pads and/or absorbent sheets (which I will refer to jointly as “pads”). M immediately challenged this decision on the grounds set out below. As a result of the challenge, K&C put in place an interim arrangement whereby it provided a carer for 4 nights per week (M’s partner assisting on the other nights). In November 2009 and spring 2010, while the proceedings were continuing, K&C carried out Care Plan Reviews, which concluded (among other things) that M’s night-time toileting needs could be met by the provision of pads. 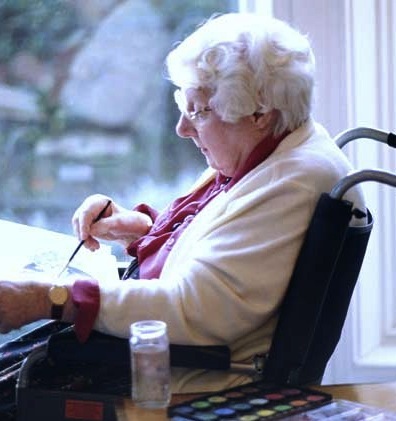 It was estimated that the additional cost of a night-time carer was £22,000 per year. M had a horror of using the pads, and wished to continue using a commode. She also objected to being classified, inaccurately, as “incontinent”. She sought judicial review of K&C’s decision, arguing at first instance that the authority was unlawfully failing to meet her assessed needs, and that in doing so it was also violating her Article 8 rights. Her claim was dismissed, and then renewed before the Court of Appeal where she also argued that K&C was in breach of the ss. 21B, 21D and 21E of the Disability Discrimination Act 1995 (DDA 1995). “ Thus these Acts [s.47 National Health Service and Community Care Act 1990, s.29 National Assistance Act 1948, s.2(1)(a) Chronically Sick and Disabled Persons Act 1970] require a local authority to assess needs, then to decide by reference to such an assessment whether the provision of relevant services are called for, and then to make arrangements for the provision of the services which have been decided upon as being called for. In respect of M’s case, the last sentence of paragraph 34 was of critical importance. In July 2008 she had been assessed – in terms – as requiring assistance to use a commode at night. K&C argued, successfully at first instance, that the local authority and a court could look beyond the actual words used in the assessment in order to identify its underlying rationale, which was taken to be a need to urinate safely at night. If this need could be met by other, cheaper means (such as using pads), it was argued that K&C were entitled to do so. It was submitted on M’s behalf that this was not so: once a need had been assessed, a local authority had a statutory duty to meet it, and the question of resources could only be relevant to the means used. As pads did not constitute assistance in using a commode, K&C’s proposal was not lawful. It followed that K&C was in breach of its statutory duty in not providing a carer every night in the period during which M was assessed as requiring assistance with using a commode. However, M’s victory was a narrow one. The Court also found that the reviews of November 2009 and spring 2010, in which it had been stated that M’s needs could be met with pads, were lawful re-assessments of her care requirements. As these did not state that she needed assistance with using a commode (and in fact considered this the less preferable option on the grounds of safety), K&C was entitled to withdraw that support and replace it with the provision of pads. Hence K&C had acted unlawfully only in respect of the three nights per week between October 2008 and November 2009 in which it had not provided a night time carer. In M’s case, where it was not argued that M’s suffering amounted to a breach of Article 3, Rix LJ held that the conditions for finding a breach of Article 8 were not established. What conclusions can be drawn from this difficult case? First, the actual terms in which an individual’s needs are assessed are highly significant. If an assessment states a specific item should be provided, then the local authority are lawfully obliged to provide it. This allows some protection for an individual from the arbitrary withdrawal or redrawing of the assistance that he receives; it also provides notice to local authorities to take care in drafting their assessments. Second, and qualifying the first point significantly, there is nothing to prevent a local authority from re-assessing a resident’s needs as long as this is done properly (and is not simply a sham designed to save money). In any such re-assessment a local authority would be entitled to have regard to its resources (among other relevant considerations). It is notable that throughout his judgment in M’s case, Rix LJ expressly praised K&C for its approach, which he considered to be borne out of “a genuine attempt to assist” M, while performing “the difficult task of balancing [this] desire … with its responsibilities to all it clients within the limited resources available to it in its budget”. Finally, the Court’s attitude to the Article 8 and DDA arguments indicates that it would intervene on these grounds only in the most extreme cases. For an individual to succeed in an Article 8 argument, it is likely that he would need to establish that he had suffered treatment approaching a violation of his Article 3 rights as a consequences of the failure to provide care. This is a very high threshold, although it seems that a different, lower, test applies where family units are concerned. The theme running through each of these points is that it is primarily for the local authorities – and ultimately those who elect them – to decide on what levels of care they should provide to their residents. The Courts’ role is limited to ensuring that the authorities correctly address their statutory responsibilities, and to providing a “safety net” via Article 8 to catch those whose suffer so much as a result of a lack of care that it amounts to a breach of their fundamental rights. A dramatic and distressing example of the latter is provided by the case of R (Bernard) v Enfield LBC  EWHC 2282 (Admin), in which Sullivan J found that Article 8 was breached when a council’s failure to take steps to resolve a family’s accommodation situation left the wife, a paralysed wheel-chair user, confined to a living room where she was forced to defecate and urinate on the floor. For M, the Court had sympathy but ultimately no remedy. In light of this judgment and the current economic climate, future campaigning on similar cases is likely to take place predominantly in the political rather than the legal sphere. … The judgment could affect services to hundreds of thousands of vulnerable adults, including care at home, meals-on-wheels, escorted transport and places at day centres. Councils face a 26% cut in grants over the next four years, although the government says it is providing enough funding for social care to be protected. The focus until now has been on tightening eligibility for people not yet receiving services. This is an extremely degrading practice and one that should not be allowed to happen. The court ruling suggests to health and social care professionals that such practice is acceptable – which, clearly, it is not. One hopes that those involved in the case do not find themsleves in such a degrading situation in their later years, as a result of their actions. Have you not spoken somewhat prematurely? We are fighting the political battle: We need more judicial activism from the bench! What is the point of these laws and the money expended in arriving at essentially politically-motivated judgements? The judges comment negatively on the £22k required to give this old lady dignified treatment taking account of her personal fears. How much is expended on their own salaries, expenses and in dealing with these cases? If human rights fail to take account of human feelings and needs, the whole system is a sham. The whole concept of a balance between economic needs and human rights is a sham to give precedence to cost-cutting at the expense of what should be rights based on irreducible absolutes of humane and moral treatment. The concepts of morality and Christian values seem no longer to apply to these institutions. When will support services ever learn this decision is for the client too make yes health and safety should be considered but it’s her choice as she is the one who has to live with it ie to be precise sit in her own urine pad or not, the court should have take a much more human view this woman has a right to her dignity I wear incontenance pads too and it was suggested I have an enema at aged 34 which was cleraly very innoperate in my case. This is a distressing case. I myself am severly disabled, and need the use of a stair lift, whch has been for the past fifteen years maintained & repaired as necessary by the local Care dept. of the council. Since the beginning of this year, they have refused to do this, saying they no longer `want to`, `as it is`n`t theirs`. They are obliged to do this under the Chronically Sick & Disabled persons act, & E.E.C. directives re disabled persons. The lift company now threaten legal action if I do not pay a yearly bill of £100+, which should be paid by the Social Services finance dept. The matter has been referred to the Crown Prosecution Service, if no correct remedy is arrived at, it will be referred to th European Cour.